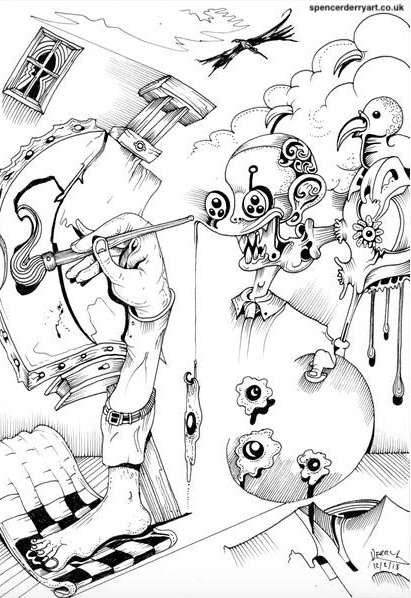 Original Hand Drawn Surrealistic Art illustration by Spencer J. Derry in 2018. Media: Felt Pen on paper. Note NOT framed. Secure P+P Worldwide tracked or signed for.